Last year, the team at Struck and I had the chance to work on a site for a Swiss watch manufacturer. 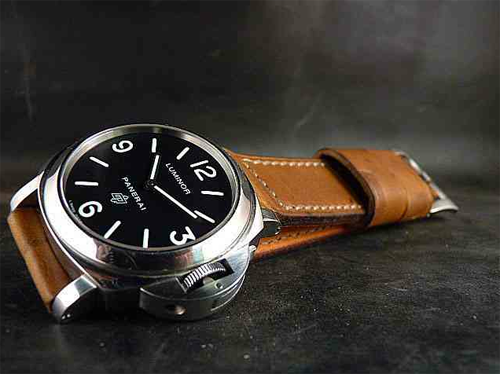 In the process of preparing for the pitch, I gained a serious geek-out factor for watches that are completely unattainable—brands such as Panerai and Bell & Ross. I also discovered that my dad, @normanity, shares a similar horological sickness. Cool watch bands have also been on my radar. So when a decent watch—let's call it "inspired by" Bell & Ross—popped up on Amazon for cheap, I snagged it. It arrived shortly thereafter and though it looked pretty cool, it was sporting a ridiculous vinyl band. Luckily, I stumbled onto Greg Stevens Design. GSD just happens to be based not far from me in the Salt Lake Valley and was really able to work directly with the watch to craft a band that really suited the watch's size and style. The quality and craftsmanship is seriously top notch, not to mention some meticulous attention to detail and design. 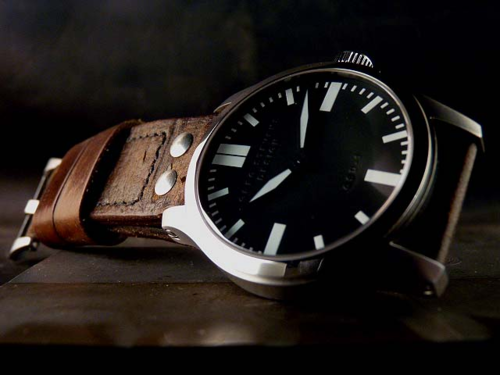 Not only does the GSD have some fantastic watch bands and leather goods, it also has its own line of custom watches. The current model has a cool, minimalism to it with a Swiss hand-wind movement. So next time you get a chance to score a quality timepiece or need a band to set apart your Panerai (or Panerai knock-off), look up GSD.